Apple Layered PSD mock-up includes all new Apple devices like iPhone5S, iPhone5C, New MacBook Air, New iMac, iPad Air. All objects are fully-layered so you can create your own layout with ease. 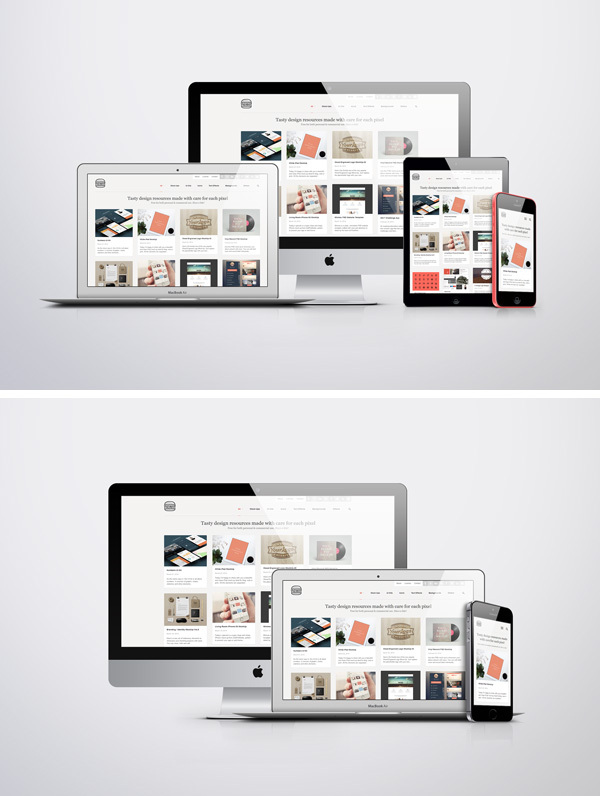 Ideal for Responsive Web and Apps Design Showcase or anything you want.